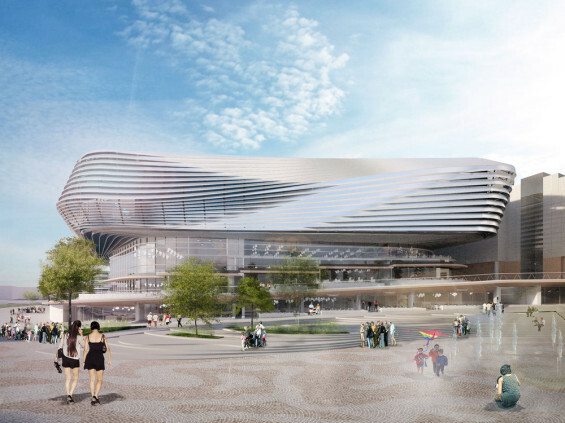 Grant Associates has been appointed to design the public realm for Watermark WestQuay Southampton – a £70m leisure-led regeneration scheme masterplanned by ACME for developers Hammerson. 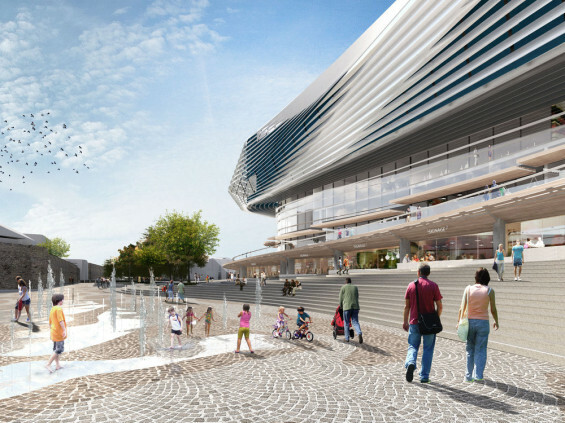 Inspired by tidal mudflats, the strata in which the city of Southampton was first built apon, Grant Associates’ landscape design will comprise four key components: the plaza bringing a new open space for Southampton; the ancient historic town walls that form a distinctive backdrop to the spaces; the promenade that runs the length of the walls; and the steps and ramps that negotiate the 7 metre level change between the Bargate and the lower levels of Western Esplanade. A major element of the new plaza will be a destination water feature made up of approximately 33 fountains. To reinforce the concept of ‘mudflats’ the water feature will ebb and flow like a tide, rising and falling to capture pools integrated into the paving scheme. At certain times of the day, the water feature will flood to create a mirror pool reflecting the historical Town Walls and light before receding like the tide. The promenade varies in width along its length to create a variety of spaces and niches and takes the forms and patterns of the original mudflats and tidal edges. The form and profile of the curving steps linking the lower promenade with the plaza also evoke images of lapping waves. The development uses the new buildings and the historic Town Walls to create the setting for the new public space. It is a dialogue between the old and new. The Town Walls offer a powerful backdrop to the new spaces with their remnant towers and elevated walkways. 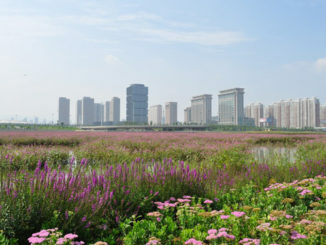 Planting is designed to respond to issues of shelter and microclimate enhancement. 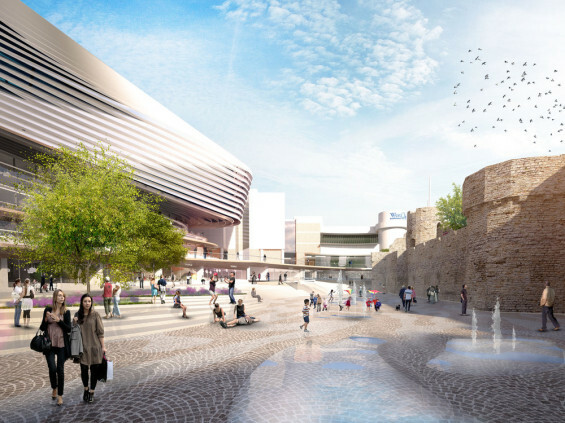 In line with development policy at Southampton City Council a swale system will harnesses water runoff through the landscape as well as establish different habitat types and improve local biodiversity. The swale will be characterised by native species that thrive in wet/dry conditions.